This ETN had been a good position for us but we need to replace it. 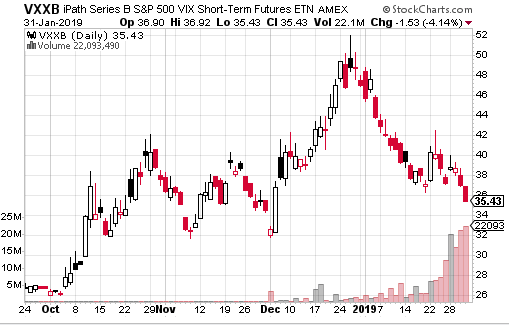 The VXX ETN expired and was replaced by the VXXB. Unfortunately, put options are expensive with a volatility instrument at this price level. The only recommendation is to short the ETN and forget it. This will be a long-term position. This is not a 2-3 week play. I can guarantee you, if history holds, we can play this until it splits 1:4 again at $10. We could keep this play in the portfolio on a trading basis permanently. 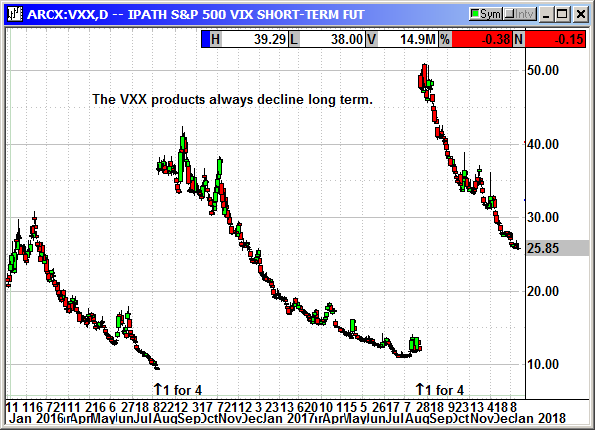 Short VXXB shares, currently $35.43, no initial stop loss.